Last month, I spent a few hours looking at websites with eBay advice. I was amazed. Actually, I was dumbfounded by what I saw. I figured these would make great examples, so I started writing down some of the really bad advice I found. The eBay myth or bad advice is followed by my comments. MYTH: Only sell items worth less than ten dollars in order to keep your eBay fees low. COMMENT: This guy was saying to sell cheap stuff, not to start your auctions at a low price in order to lower your insertion fees. You should pay attention to eBay's fees, but to cap your potential is quite shortsighted. MYTH: Buy PPC ads on Google and other search engines to promote your eBay listings. COMMENT: Pay-Per-Click ads are listed adjacent to the search results on Google and other search engines. This guy has it backwards. eBay has millions of searchers. Paying five cents or more to get someone to look at your auction rarely makes sense. Instead, set up a website and use eBay and PPC ads to promote your website. MYTH: If you are selling common items you don't need pictures. MYTH: You can only make money selling new items on eBay. I also found: You can only make money selling old items on eBay. COMMENT: Your profit is made when you buy something. Not when you sell it. When you sell something all you are doing is capturing your profits. The age of the item, or even what the item is has nothing to do with the margin. MYTH: The only way to get a reliable source of new inventory is through a drop shippers list. COMMENT: This is crap. The only person who makes money with these lists is the person who sells the list. You are better off locating products on your own rather than competing with others. Get my interview on Finding Wholesale Products To Sell On eBay to learn how to source new products. MYTH: It's important to track hot items on eBay. COMMENT: Besides the heavy competition, targeting fads is a fast way to end up with lots of unwanted inventory. You are better off selecting items to sell based on the profit potential and/or by what interests you. You must pay attention to the profits, but this won't prevent you from selling items you like. For example I sell used toys. I collect toys and have perfected a system to find antiques and collectibles at prices where I can profit. I don't buy any toy just to sell it on eBay. I only buy items for resale I can make good profits on. MYTH: It's important and prestigious to be a Powerseller. COMMENT: The only advantage of being a Powerseller is eBay will send you a monthly newsletter in the mail with some colored graphs that show your sales. Additionally, Powerseller status is based on gross sales. If you sold hundred dollar bills for fifty dollars each you'd only need 10 sales to become a Powerseller. You'd be loosing 560 dollars a month or more, but you'd have a fancy logo next to your name on eBay. MYTH: The best day to end you auction is . . . COMMENT: These general statements are meaningless. 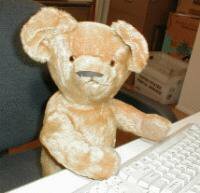 If, and I really mean IF there is a best day and time to end your auction it depends entirely on the item being sold. For example, if you sell items to teenage girls ending your auctions in the late afternoon when the girls are home on their computers chatting with their friend may have an impact on the final price. If you sell printer cartridges to businesses, ending your auctions on weekday afternoons might effect the price. Personally, I think the whole ending day and times debate is a myth perpetrated by people who know very little about statistics. eBay caters to this myth by charging people to schedule auctions. Here's an article on eBay Auction Lengths and Ending Times. MYTH: Offering your item to international buyers is not worth doing because there are plenty of American buyers, and besides the customs paper work is a hassle. COMMENT: Granted, it does take more time to figure out the shipping, and you can't use Priority mail boxes, but every time you ship an item out of the country you means you found an international bidder who was and did pay more for your item than a local bidder. It only takes about 30 seconds to fill out the customs form. I had two bidders from the Netherlands go to war over an item recently. The item ended at $180, and the highest American bid was for $50. That's a 130 dollars of additional profit for two minutes of work. MYTH: The only way to make money on eBay is to list items. The more items you list, the more you make. COMMENT: This is called the volume trap. I suffered from this illusion for years before I got smart. I stopped thinking of eBay as a place to sell items, and started using it as a way to meet new prospects. As a result my income has increased while my listings have declined. Free interview on escaping the volume trap with Jim Cockrum. MYTH: There are eBay secrets you must know to succeed. COMMENT: The only secret I know of is the eBay customer support telephone number, and they have just started giving them out on the site. The word secret is just a marketing ploy. What you need are skills. You see, skills are only improved by thinking about what you are doing, and looking for better ways. This is where the majority of eBay sellers go wrong. They never spend time increasing their skills. They know enough to list items and sell them, but never stop to think about how to do it better. One of the reasons for this is they never see the money they waste. They never see the profits they miss out on. Not seeing these losses, these sellers blindly continue to throw away money. Even worse, they perpetuate these myths because they do not want to be accountable for their actions. Trusting myths provides excuses for mediocrity. Consider the people who claim international sales are a waste of time. These people are nothing but lazy. They spread the myth so they do not have to own up to their laziness. When we are honest with ourselves, we test and evaluate. Evaluation is the important key. You evaluate the results and then test new things based on the results. When you find something that works, you add it to your skill set. When we are honest with ourselves, we seek out experts and learn from them. 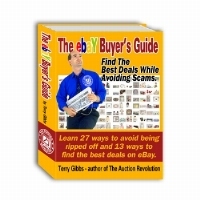 One of the best ways to increase your eBay skills is by getting the Auction Revolution. Test your eBay skills by taking the free Auction Revolution eBay Seller's Quiz.